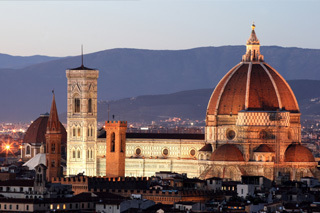 Our friend Alessandra M. gives a fascinating walking tour of Florence. 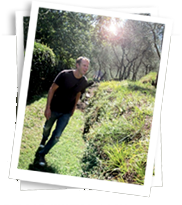 This is a great experience, if you don't want a full day tour of Florence with a driver. You can take the train or bus to Florence, have 2-3 hours with Alessandra, and still have plenty of time to shop or explore on your own. Her tour highlights the Duomo, Baptistry, the many aspects of the piazza Signoria, and the David statue (located in the Academy Museum). If you want to visit the Academy museum, let us know when you book and Alessandra will make reservations for you, so you'll be able to go straight in with her, avoiding the lines outside the museum. 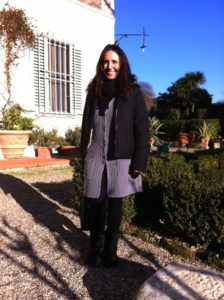 Alessandra was born and raised in Florence, and has been a licenced tour guide since 1995. She has given walking tours to our guests for years. They love her! She is fluent in English, having spent 8 years studying in Boulder Colorado and then receiving her masters degree in England. Her art history passion and studies continue, with a specialty in Michelangelo and the Renaisance. Alessandra is one of the few scholars that has access to the Michelangelo library in Florence, where she works with original letters and drawings from the master. She and Paolo (he is one of our favorite drivers and provides some of our driving tours in the area) live in a beautiful home near Florence, that was once owned by Michelangelo himself! Price: 260euros for morning tour or 230euros for afternoon tour (this is total price, not per person) for up to 5 guests, with an additional 40euros for groups of 6 or more (for required headsets). The entrance fee to the museum is not included in the tour price - please let us know if you want to visit the Academy museum - and you can pay directly at the museum on arrival at the museum's ticket price.